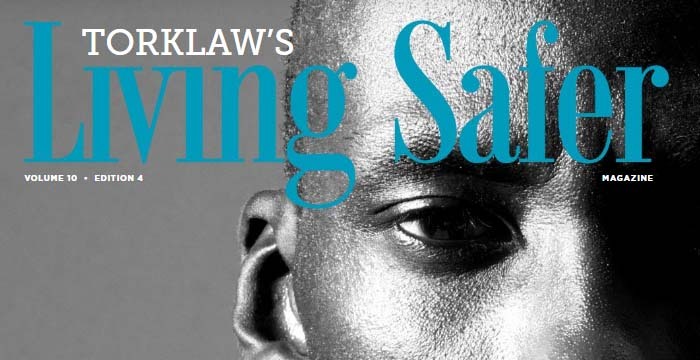 We are once again proud to share the latest issue of our Living Safer magazine. This edition deals with chronic traumatic encephalopathy, or CTE, the degenerative brain disease caused by severe, repeated blows to the head. Click here to read the full article (story on page 30). As scientists study the medical impact of CTE, we are just beginning to understand the legal ramifications. Cases are pending against the NFL, the NCAA, and Riddell, the football helmet manufacturer. The NFL has enacted a “call to action” to lower the concussion rate of its players, including new rules for hits to the helmet and improved helmet quality; they are also doing more to help players identify the signs and symptoms of concussions. Of course, football players are not the only group susceptible to CTE. The disease has also been found in boxers, soccer players, and ice hockey players. Sadly, we also see CTE in military veterans and victims of domestic abuse. I’m proud to be in a profession that is helping to bring attention and much-needed research into this debilitating disease. We have also examined this issue in our blog post, CTE: Legitimate Risk or Anti-Football Hysteria? I hope that you will use the information in this magazine, as well as our legal blog, to learn about the risks and symptoms of CTE, and how to protect you and your family from this and other traumatic brain injuries. If you or a loved one has been harmed by the actions of another, please contact TorkLaw and we will do everything we can to help you.